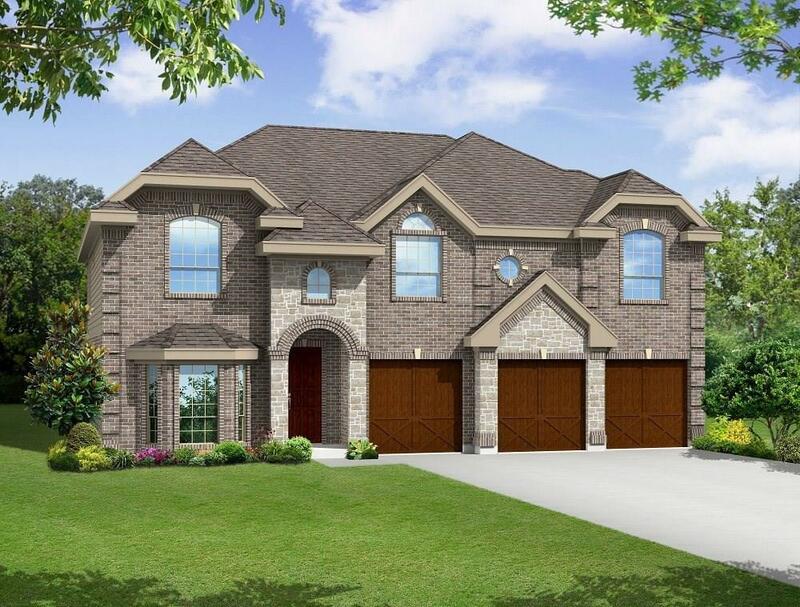 MLS# 14019414 - Built by First Texas Homes - August completion! ~ The home features a beautiful elevation with gorgeous stone and faux cedar garage doors, a huge covered patio, and amazing finish detail throughout!. The moment you enter you will immediately feel at home with luxurious, soaring ceilings! This home features a beautiful curved staircase with wrought iron railing; beautiful, gourmet kitchen with custom cabinets, quartz counter tops, stainless appliances, complete with double ovens, a 36 5-burner gas cook top; and a butler's pantry with walk-in food storage, a towering rock fireplace; an amazing master suite w a garden tub, separate tiled shower, & dual vanities with marble counter tops.